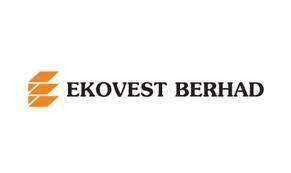 Ekovest Berhad is a stable yet slow-growing company which involves in 3 main business divisions- Construction , Property Development and Toll Operation for almost 30 years of experience. This company is holding a total of RM 14 billion worth of contracts until now which will keep them busy for at least 3 - 5 years . For the construction sector - its subsidiary company ( EkoRiver Construction Sdn Bhd ) has been awarded a few mega projects from DBKL which is known as River Of Life to transform and upgrade the locations near Klang River area . Those mega projects is awarded to the company in 2016 , 2017 and 2018 March , at total worth of RM 600 million . For the Property Development sector - the company currently have a land bank of 39 acres located primarily in northern Kuala Lumpur where they will be focusing in for the next few years . While there are also 25 acres of land in Johor Bahru and 12 acres of land in Kuantan . In 2017 , the company has also obtained their permit to develop an area near Gombak which is known as the “ Kuala Lumpur River City “ . 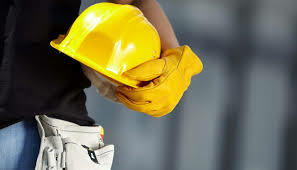 The ongoing project - EkoCheras ( 3 exquisite serviced apartments, a Grade A office tower, a classy hotel and four storeys of urban lifestyle shopping mall ) and EkoTitiwangsa ( 3 blocks of freehold service apartments with a total of 696 units and retail spaces ) and other projects which worth more than RM 7 billion . For the Toll Operation sector - The company currently involves in 3 highways which is located around Kuala Lumpur , DUKE 1 , DUKE 2 and DUKE 3 ( Setiawangsa Pantai Expressway - SPE ) . In the year 2016 , the company has sold 40% of DUKE 1 and 2 highways ‘ share to EPF , for an amount of RM 1.3 billion . The remaining highways , DUKE 1 and DUKE 2 ( 60 % ) have started to fully operate early this year and the contract is due to Aug 2059 . The SPE highway worth RM 3.7 billion is currently in process and is expected to be done in early 2020 and the contract is due to Aug 2069 . However , the company ‘s executive chairman , Tan Sri Lim Kang Hoo who is believed to have a close relationship with the former government is one of the reason making the investors exiting at instant after PH take over the government . In the PH ‘s manifesto , they had announced to review all the projects and to abolish all the tolls in Malaysia . These had made the situation even worse where there is almost 30 % of the company ‘s revenue is from the Toll Operation sector . DUKE 1 and DUKE 2 highway which has just started operating early this year and DUKE 3 highway ( SPE ) where it is said to be completed in 2020 will be completely wasted and the company may not be able to maintain their annual growth . Is that a worry to you ? There ‘s a few point need to be highlighted . First of all , PH government promised not to take revenge on those company which previously sided BN . Most of the projects awarded have been on - going for more than 2 years and there is no reason to be pulled - back yet need to to be paid for a huge amount of cash . Although there is no guarantee in future , but based on their toll operating sector where there is 40 % of DUKE 1 and 2 ‘s shares belongs to EPF , will the government purposely creates a huge loss to its own department ? The on - going SPE highway has started since 2016 , it has already reached half- way through its completion . The both DUKE 1 and 2 highway has a NTA price of RM 0.79 which is about 10 % below current price (RM 0.715 ) excluding the SPE highway , company assets and receivable value . This is why we chose it as a very very undervalued stock . According to cash valuation method , with a conservative estimate growth ( 10 % ) , the intrinsic value indicated is RM 2.56 ( included debts) which is higher than the current trading price of ( 0.715 ). Pursuant to this valuation method , there is a 253 % gain in the long run . NOTE : The est growth% is based on our analysis on fundamental and future prospect , the assumption need not to be 100 % accurate , it is just a rough figure that we estimate . It’s late to publish our analysis on Ekovest , there is a very clear signal on the yellow bounded region ( key reversal day) , followed by three bullish flag pennants and the fourth in making . It is quite a good entry point on the current trading price , with a positive momentum , the trend reversal is being confirmed and there is a potential RM 0.19 potential gain at our recommended buying price of 0.70 . Feel free to visit our FB Page , give us a like and share it out so that we can share more things to you !! !